Cryptocurrency wallets provide users with a digital solution for securely storing and managing blockchain assets and cryptocurrencies. These wallets allow users to spend, receive, and trade cryptocurrencies. While some cryptocurrency wallets may only provide support for a single cryptocurrency, many are multi-asset solutions, allowing users to hold multiple cryptocurrencies, including Bitcoin, Bitcoin Cash, Ethereum, and Litecoin, among many others. These solutions ensure that the owner of the cryptocurrencies and blockchain assets is the only entity who can access the funds by requiring elaborate passwords and other security measures. Users can view or access cryptocurrency wallets from smartphones and computers. Cryptocurrency wallets do not physically store the blockchain assets; instead, the wallets store public and private keys. Public keys are segments of digital code that are attached to a decentralized blockchain, almost like a bank account number. Private keys are also pieces of digital code, but are unique to an individual’s cryptocurrency wallet, similar to an ATM PIN code. Private keys match and prove ownership of public keys. Owners use their private keys to conduct all transactions with the cryptocurrency that they own. Cryptocurrency wallets can be utilized by businesses accepting payments through cryptocurrency payment gateways to securely store or exchange blockchain assets. Cryptocurrency Wallets reviews by real, verified users. Find unbiased ratings on user satisfaction, features, and price based on the most reviews available anywhere. BitGo is the market leader in institutional digital asset financial services, providing clients with security, compliance, custodial, and liquidity solutions. In 2013, BitGo introduced the industry’s first multi-signature hot wallet for institutional investors. Today, BitGo is the world's largest processor of on-chain Bitcoin transactions, processing 15% of all global Bitcoin transactions, and $15 billion per month across all cryptocurrencies. BitGo supports over 100 coins and tokens, and has over $2 billion in assets in wallet. Since 2013, CoinPayments has been innovating payments by providing solutions for businesses to transact in hundreds of cryptocurrencies. Hundreds of coins supported, millions of users worldwide and the convenience of prebuilt plugins and integrations for all the major ecommerce platforms! The CoinPayments mission is to increase the adoption of cryptocurrencies globally by bringing innovative payment solutions to everyone, including the unbanked and underbanked. The most trusted and secure way to store your bitcoins. 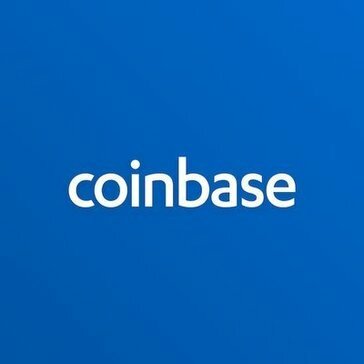 The simple and secure way to get started with crypto. Copay is a true bitcoin wallet, not an account service. Secure your personal funds with multiple signatures, or just one. 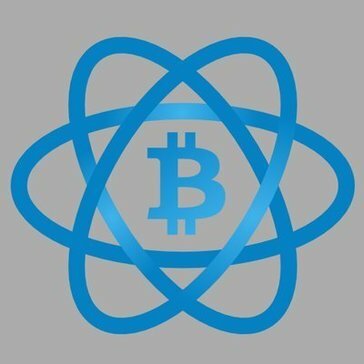 Counterwallet is a free web-wallet for Bitcoin and Counterparty, the world's first protocol for decentralized financial tools. Safely store your bitcoins, manage multiple accounts, create backups and trade. Omniwallet is a new type of web wallet which aims to combine security, usability and multi-currency support. Block.io provide wallet hosting, in addition to customized support for your crypto business. Don't spend months trying to figure out where to begin, start with Block.io and be up in a day. The CryptoStorage AG offers a proprietary solution to secure private key of qualified and institutional investors, both physically and digitally on high-quality hardware security modules with detailed configuration options for individual and role-based access control. Daedalus is home to ADA, the cryptocurrency of the Cardano network. Daedalus is a highly engineered wallet with advanced security features, protecting your assets with the strongest cryptography yet developed. Secure & Anonymous crypto wallet with client-side private key storage. ArcBit offer an intuitive and simple interface that is great for bitcoin beginners. Bonpay is a full-fledged Blockchain service. It includes a wide range of solutions, from Bitcoin storage to plastic or virtual card, helping to make payments anywhere. 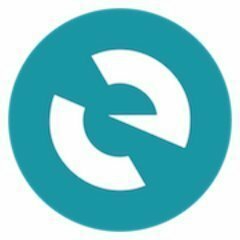 Users of eesty can hold, send and receive cryptocurrencies. ESTY can be used to exchange for the hash power of blockhive's mining facilities. You can also use it for services of affiliated companies that are free of charge or at a discount in the near future. The most popular mobile token wallet in the world and Counterparty API for developers to build unique token applications. Infinito Wallet offers safe and easy access to various blockchain-powered services. KCASH - Safe and convenient digital wallet for blockchain assets,Smart wallet that connects the cryptocurrency with the physical world. Sequence is a ledger-as-a-service that enables organizations to securely track and transfer balances in a token format. Wirex Bitcoin Wallet gives you a full range of security features ensuring that you can buy, spend or transfer your funds with ease, no matter where you are in the world. Zenapay offers its users a secure and simple Bitcoin Wallet that allows users to buy different products online using Bitcoin. Hi there! Can I help you find the best Cryptocurrency Wallets solutions?